1929, Sant Cugat del Vallès (Catalonia, Spain) - 2011, Saint-Mathurin-sur-Loire (Angers, France). Josep Grau-Garriga was born in Sant Cugat del Vallès, on February 18, 1929, within a family of farmers who suffered the hardships of Civil War and particularly those of the post-war, going through jail and exile. It’s in this environment where Grau-Garriga discovers his vocation for art. In the early 40s, Grau-Garriga gets his first influences through the Museu Nacional d'Art de Catalunya, its frescoes, Romanesque and Gothic paintings. He studies art first at the Llotja and then at the Escola Superior de Belles Arts de Sant Jordi in Barcelona. In the 50s, he is devoted to mural painting, creating works of the magnitude of the murals in the chapel of Sant Crist of Llaceres (Sant Cugat del Vallès, 1956) or the sanctuary of St. Mary of Paretdelgada (La Selva del Camp, 1959). In 1956, the entrepreneur Miquel Samaranch offers him the opportunity to revitalize the old Casa Aymat in Sant Cugat dedicated to the production of carpets and tapestries. Samaranch hands him the artistic direction of the company within which an experimental tapestry workshop is organized. A year later (1957) the company funds his first study trip to France, where he deeply gets to know the technique of medieval and contemporary tapestry, a medium he'll revolutionize and that will grant him international relevance. 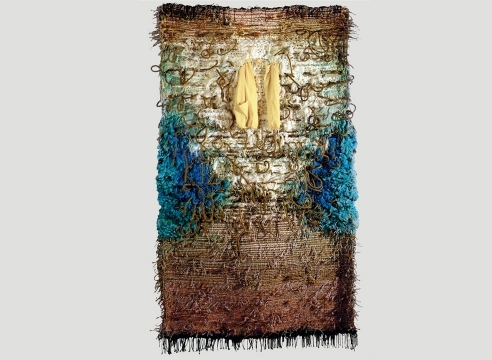 He personally meets the painter and French poet Jean Lurçat, considered a master of modern tapestry and one of the leaders of its renovation, who, the following year (1958), would come to work with him in Saint Cere, in Olt (France). Applying the technical and conceptual knowledge acquired in France to the local context, Grau-Garriga, as artistic the director, and his disciples place the Casa Aymat on the basis of what has been called the Catalan School of Tapestry. He became the theorist of the movement generated there, involving, for nearly two decades, some of the most well-known artists of the time such as Joan Miró, Josep Maria Subirachs and Antoni Tàpies. 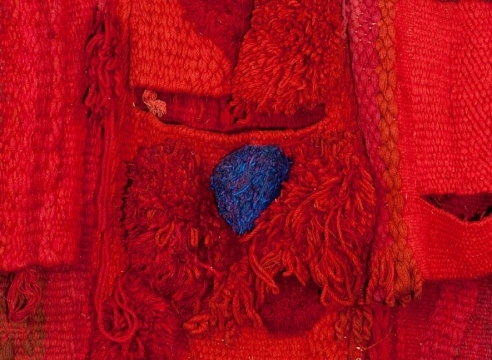 The new emerging concepts revolutionized textile art both nationally and internationally. In 1964, he presents the first solo exhibition of tapestry ever in Spain, at Sala Gaspar in Barcelona. 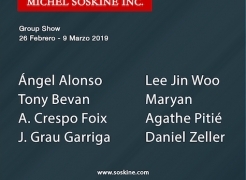 The following year, his first exhibition abroad, at the II Biennale Internationale de la Tapisserie Moderne in Lausanne (Switzerland), grants him a special public recognition. In 1969, the Institute of International Education in New York conceded him a scholarship that will allow him to move to New York for a year and travel around the United States, Mexico and Canada. During the 70s he combines his work with a remarkable teaching practice. 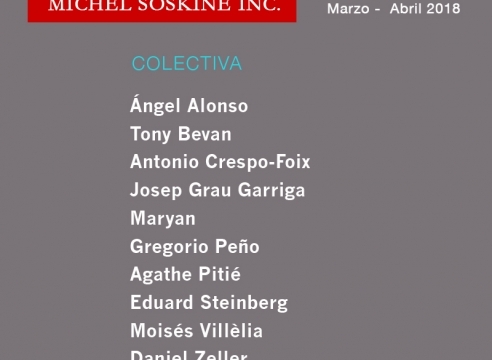 In 1988 a major retrospective exhibition is presented at the Palau Robert in Barcelona. In 2004 his hometown pays him tribute. 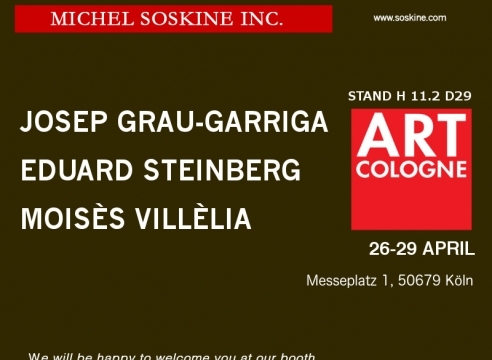 The "Grau-Garriga Year”, includes, inter alia, a double exhibition of recent work and one dedicated to his early years. Since 2007, one of his tapestries presides the entrance of the new building of the Town Hall of Sant Cugat. It’s made up of four red and yellow pieces with different materials, including copper wire of different thicknesses that gives the work a transparent appearance. He died on August 29, 2011 in Angers (France), where he lived since 1989. The Contemporary Tapestry Museum - Casa Aymat, holds an important collection of his works, as well as the MACBA - Museum of Contemporary Art of Barcelona. 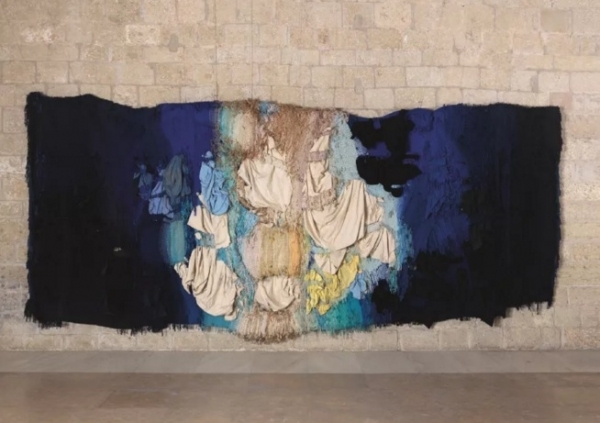 In March 2019 the renovated Casa Aymat was inaugurated in his hometown, Sant Cugat del Vallés (Barcelona) with the name 'Center Grau-Garriga d'Art Tèxtil Contemporani', the first contemporary art center dedicated to textile art and permanent headquarters from his legacy. In addition, his work is part of the permanent collection of The Metropolitan Museum of Art in New York, the National Museum of Modern Art in Paris, the Museum of Contemporary Art International Rufino Tamayo in Mexico City, among others. De L'Ombre À La Lumière, Tapisseries Catalanes, De Picasso À Grau-Garriga. Museu de Sant Cugat (Spain); Centre cultural Caixa Terrassa (Spain); Musée Jean-Lurçat et de la tapisserie contemporaine, Angers (France), 2009-2010. 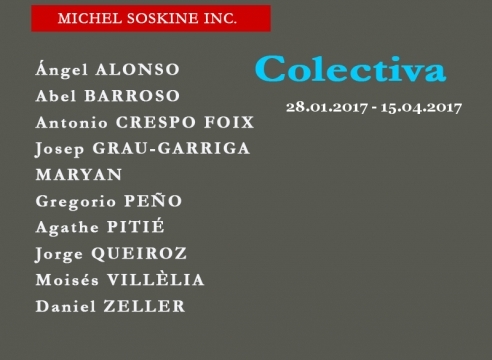 Catalan: Texts by Francesc Mirallés and Roser Sanjuan. French appendix: translation of the text by Mirallés and text by Françoise de Loisy. Le Cercle d'Art Contemporain, Paris (France), 2002. Cercle d'Art, Paris (France), 2000. 64 pages; colour and black and white photos; hardcover. Le Cercle d'Art Contemporain, Paris (France), 1986. 379 pages; colour and black and white photos; hardcover. Ediciones Polígrafa, Barcelona (Spain), 1985. Introduction by José María Valverde. 380 pages; colour and black and white photos; 25 x 29 cm; hardcover. The Museum of Fine Arts, Houston, TX (USA), 1971. English; 110 pages; colour and black and white photos; 23 x 25,5 cm. 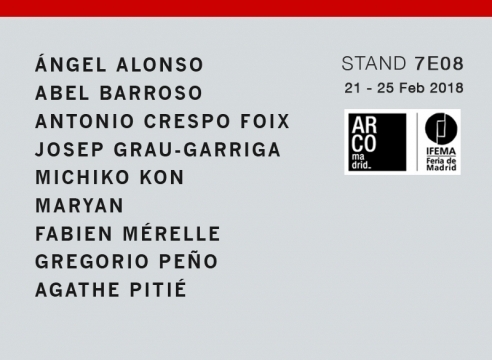 Grau-Garriga work was selected by Gianni Jetzer at Art Basel Unlimited 2018 platform. Curated by New York-based curator Gianni Jetzer, Unlimited is Art Basel’s pioneering exhibition platform for projects that transcend the classical art-show stand, including massive sculpture and paintings, video projections, large-scale installations, and live performances.